For nearly three decades Frankie Lee has been providing the foundation for the greater connectivity that is so much needed today in this world where nearly 7-billion people are challenged to move beyond “us and them” and rise up to our higher humanity. 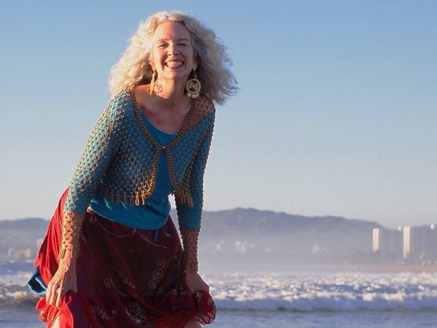 Through the two powerful alliances she founded - A Circle of Women in 1991 and The Art of LIVING Coalition in 1996 - she has served as a torchbearer for a new social consciousness, focused on our essential Oneness, coming together at the next level, and creating the lives and world we really want together. Aware, as the Dalai Lama has said, that “A genuine change must first come from within the individual, before she or he can make significant contributions to humanity,” Frankie Lee has dedicated her life to this purpose - refining herself to fulfill the powerful leadership role she steps into today...as front person for CIRCLES UNITING and master teacher of the art of living. The world Frankie Lee comes representing is radiant and alive with possibility and celebration.